Ben is originally from Paris and a graduate of the European Business School with a Master’s in International Business. During his time in France he worked for a large real estate developer and soon developed the urge to move to New York to pursue new challenges in the industry. Now that he’s firmly planted in the Big Apple, he’s able to utilize his international background to provide his clients with above-and-beyond service: working with people who speak different languages (he’s fluent in French and some Spanish), effortlessly negotiating each deal he completes as if it were for himself, and understanding that everyone has different needs to be addressed during the process. 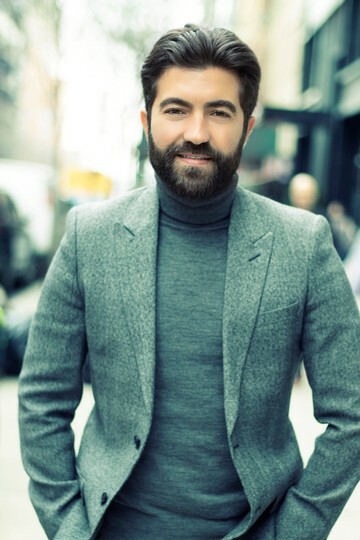 Ben also has a passion for meeting new people which makes him an invaluable (and approachable) partner in guiding his clients through navigating the NYC market from the very start. February 2019 by E J. This review is for Benjamin Lipkin at REAL New York. Benjamin showed me some apartments and was not like a typical NYC Broker. He was extremely calm, polite, patient and was trying to find me a deal within my budget. I met with him a few times and what I liked about him the most was he always listened to what I had to say and never tried to push an apartment on me that I did not like or could not afford. He was among the best and most respectful brokers I have encountered in NYC. I hope to rent an apartment with him very soon. I highly recommend his services. February 2019 by Nicole O.
I could not have had a better experience getting my first apartment with their realtor Benjamin L.
He worked tediously and patiently helping and guiding my roommate and our guarantors through the process. We had a very complicated situation but Benjamin''s patience and positive attitude never seemed to fail. I will be using REAL New York specifically with Ben for the rest of my real estate needs in New York City. I highly recommend as it was overall a very pleasant experience working with them.